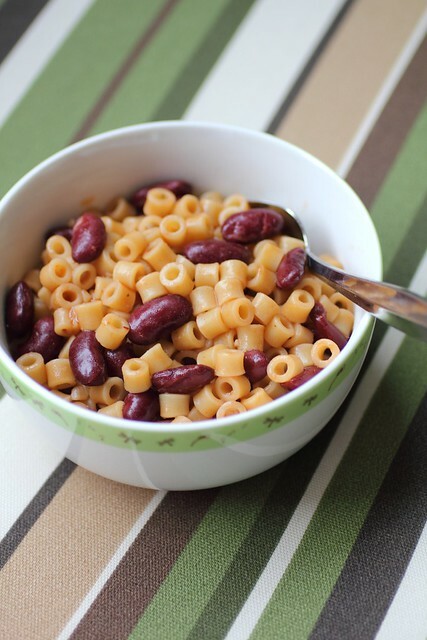 Here is a delicious and fun pasta recipe that uses only one pot. 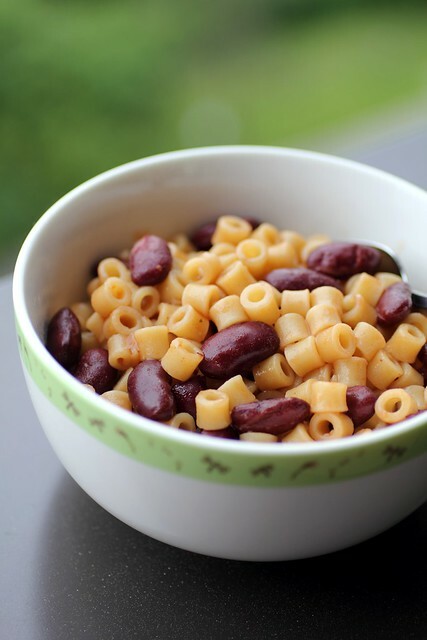 - Your favourite beans (Here I used kidney because it was in the fridge - but it works great with white cannellini beans or any bean of your choice) The beans should be already cooked or use canned. Strain and rinse your canned beans. 1-In a medium sized pot on the burner set to medium. 4- Throw in your pasta (Yes, dry pasta!!) and fry it around. 6- Add all the other seasonings in, salt and pepper, a splash of worcestershire sauce. 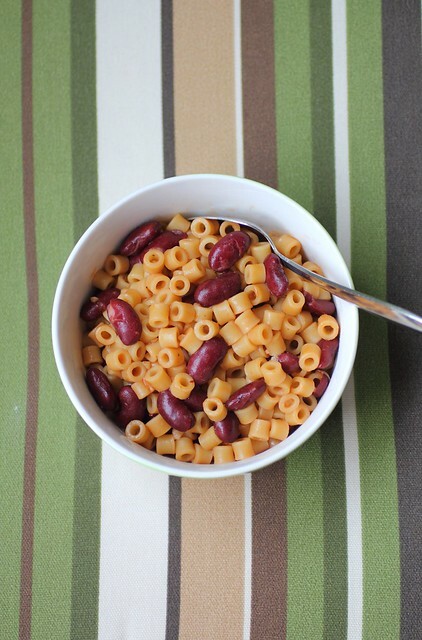 7- Stir the pasta so it doesn't stick to the bottom and add your beans. Cover and reduce to Medium low. 8- You can peek and stir from time to time .. it will be done very quickly!